Face Your Fear? For Your Fun? Funky Yoghurt Fête? 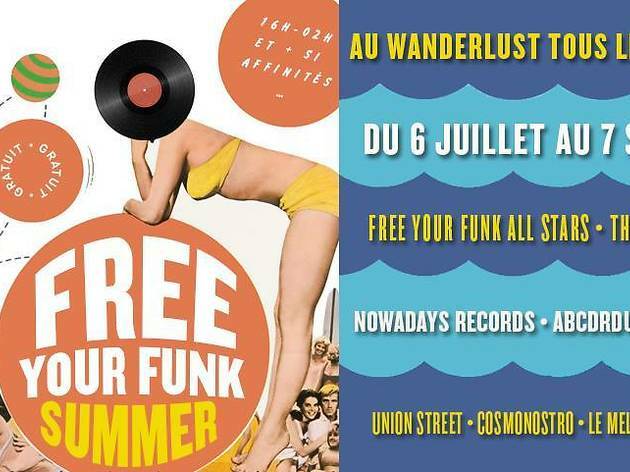 Nope, the three letters FYF stand for Free Your Funk, the Parisian club nights and concerts with crazy-good line-ups. 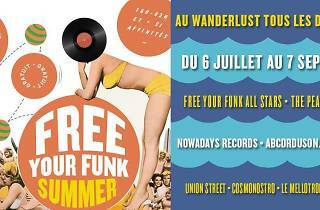 This year, Wanderlust is the base for the Free Your Funk Summer. Each Sunday, a label, media, or collective is invited to take over the club, and this Sunday it's the webzine Union Street which has the honour. Coming right up is Korgbrain and its magnetic deep house and the genius Myth Syzer who is undoubtedly one of the most interesting producers on the trap scene at the moment. qui est sans conteste l’un des producteurs les plus intéressants sur la scène trap en ce moment. There's also the duo Twinztrack to let you get your twerk on in the club, Noï's Trap'n'B and Krampf's epic sounds.